The purpose that—SEEKING MY ILLUMINATING LORD’s EMPOWERMENT—E & E & E (S.M.I.L.E. 3E) was incorporated and formed is to share and empower single parents and their children with training and the love of GOD. This corporation is for charitable, religious,and educational purposes. 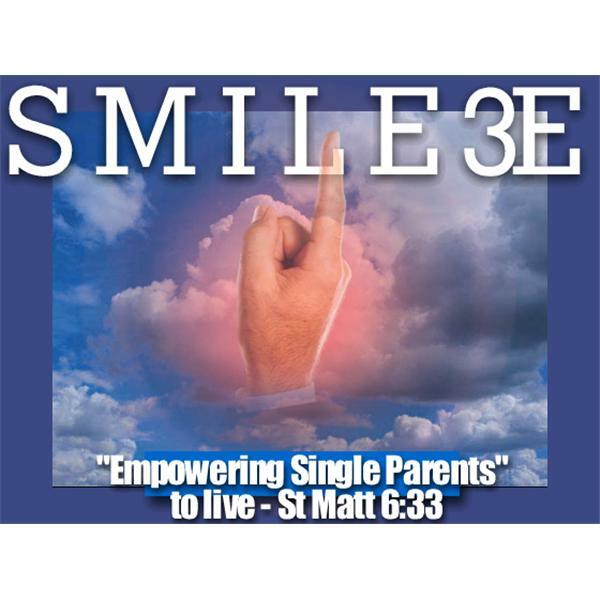 Empowering Single Parents is part of S.M.I.L.E. 3E's mandate from GOD and it has been in existence for over 2 years; we are dedicated to ministering and empowering single parents and their families to mirror the WORD of GOD and To LIVE: "But Seek ye FIRST, the KINGDOM of GOD and HIS Righteousness and all these other things will be added unto to you”. St. Matt. 6:33 and in that order, not the latter part of the scripture first. This ministry will serve as a vehicle to minister to the women and men that have been battered, broken, scared or feel that they have been denied and/or delayed by the elements of life. Through the WORD of GOD, ministry and the power of God we hope to restore the very thing the enemy has tried to destroy- their Spirit, their mind and Trust in GOD and their unquenchable desire to please GOD and abide in HIS presence! Let's Be Ready, Be Ready, Be Ready! Even Come so LORD JESUS! Remembering Elder Kathy Kendall 12 April 2019 @ 9pm CST come sing, share testimonies, share memories and much more with S.M.I.L.E.3E Minister Syvia Kizer!! !